The sources of income growth and mobility in the U.S. labor market have changed dramatically over the past several decades. Good-paying union jobs and manufacturing employment were once a prominent foundation for the country’s middle class, but these jobs have been eviscerated in recent history—with a disproportionate effect on African Americans. 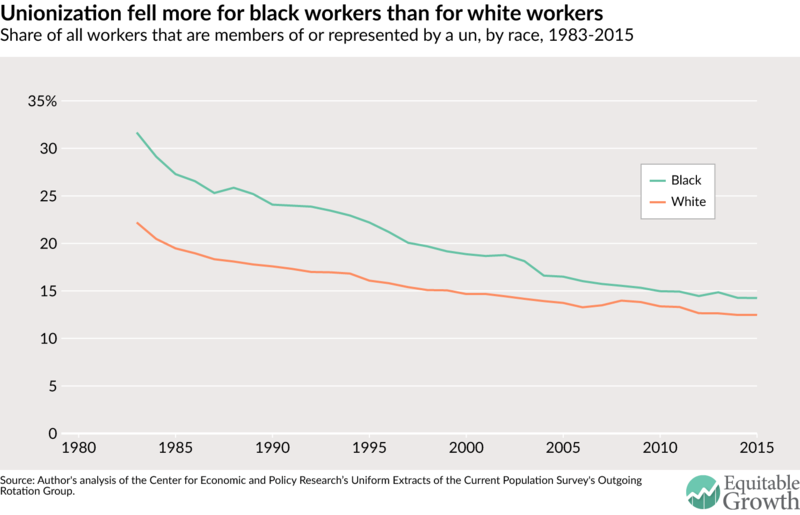 In 1983—the earliest year for which we have comparable data—31.7 percent of black workers were union members or covered by a union contract, compared to 22.2 percent of white workers. By 2015, however, union representation rates for black and white workers had fallen to 14.2 percent and 12.5 percent, respectively. 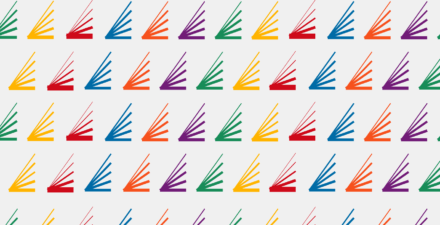 While this was a steep decline for white workers (a drop of 43.6 percent), the fall for black workers was substantially sharper (a drop of 55.2 percent). Research shows that the decline of unions is a significant cause of rising wage inequality among male workers. Recent work also demonstrates a strong correlation between union membership and intergenerational earnings mobility. 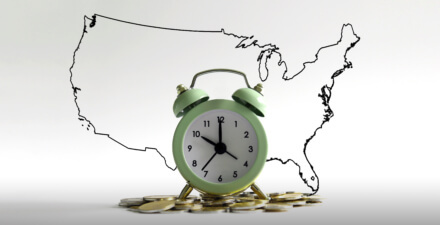 African Americans may be disproportionately losing these positive benefits of unionization. 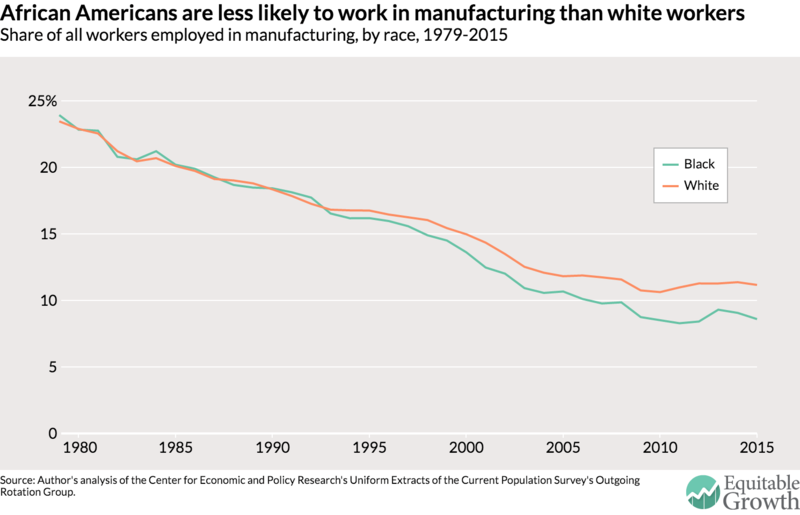 Prior to the 1990s, both black and white workers were equally likely to be employed in manufacturing. In 1979, the share of African Americans working in manufacturing was 23.9 percent, essentially the same rate for white workers of 23.5 percent. In 1990, both of these rates had fallen but remained the same for black (18.4 percent) and white (18.3 percent) workers. After the early 1990s, however, black and white representation in manufacturing industries began to diverge. As of last year, the share of African Americans in manufacturing was only 8.6 percent, compared to 11.2 percent of white workers. In other words, a black worker was 23.2 percent less likely to have a manufacturing job than a white worker—a substantial blow considering that manufacturing jobs typically pay higher wages than other industries. Manufacturing employers aren’t hiring African American workers like they did in prior years. Even though the black share of the overall U.S. workforce grew between 1979 and 2015, the black share of the manufacturing workforce did not increase commensurately during that time and actually declined from 9.5 percent in 1979 to 9.2 percent in 2015. The combination of the downturn in manufacturing jobs and the decline in unionization has disproportionately affected African American workers. As we pursue policies to improve the quality of work, we should prioritize those which benefit the groups who have lost more of the good jobs that the labor market used to provide.